Rivers & Roads is a two volume concept album that bookends 50 years of american music evolution. Part 1 "Rivers" is akin to a riverboat trip through the acoustic delta Blues, Bluegrass and Gospel sounds the mid 1920s that would combine to be the foundation of all American music. The SECOND installment, "Roads" is a reflection of the Rock & Roll soulscapes of the mid 1970s. Blues, Soul, Country, Funk, and Rock & Roll are combined into a single sound that will take you on a journey down the epic highways of roots rock. Rivers, the first installment of the double album project Rivers & Roads is a trip back into the deep roots of American music. Seven tracks of Delta Blues, Bluegrass, and Gospel music are drawn out of the muddy river banks from which they came and woven into a delicate dance of early twentieth century acoustic roots music. Rivers & Roads Part 2 (Roads) is a journey through the Rock & Roll soulscapes of the mid 1970's. A Grammy award winning cast of musicians form a high electric energy 13 piece band. Electric Blues, Soul, Country, Funk and Rock & Roll are all simmered together into eight tracks that form a gumbo of sounds that dance through the electric roots of the mid twentieth century. 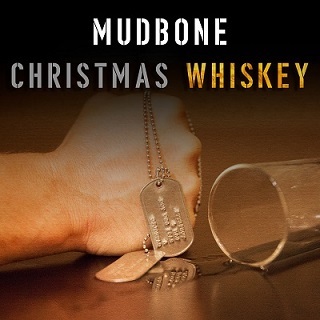 Mudbone’s latest single ‘Christmas Whiskey’ is an independent single that sheds a much-needed light on the struggles of PTSD in the American soldier. It is the story of a soldier who survived a Christmas day battle where his only reprieve was a flask of whiskey sent by his family. The soldier further explains how once he had returned home, the whiskey that was once a reprieve became his downfall as he sank further and further into a bottle which would eventually cause his family to leave, never to return. Christmas Whiskey encourages the listener to not only be thankful for “the sacrifice that we never had to make” and to thank those who have made them, but to also think deeply about those sacrifices when honoring veterans rather than to offer thanks from a base sense of obligation. This Live Concert video showcases Mudbone in his Rock & Roll element. The performance features The Thunder Bayou Band and was Filmed in front of a sold out audience in Birmingham AL.